1) Room for Improvement: Kevin takes the time to watch the videos he records in order to improve his content. While not necessary, Kevin states, “I just wanted to do it.” He is dedicated to keeping his audience educated and informed. e to add contacts to his database. 3) Consistently Grow your Database: When asked how many people he adds to his database in a given week Kevin responded, “probably 3-10 a week.” Now while this doesn’t seem like much, if you look at in terms of a year he could be adding anywhere from 156- 520 people to his database. 4) Video Marketing Works: “If you do it, [Vyral Marketing] it actually works. People do pay attention and it doesn’t necessarily have to be a super special video. Most of the people in your core group want to hear from you anyway. If you can demonstrate your knowledge on video, you’ll have people paying attention to it” Kevin Asserts. By following the Official Video Marketing plan Kevin derives great success. 5) Value Follows Effort: In putting in the effort to make these 2 videos a month, and sharing your expertise, people will want to work with you. “I have a new construction deal that’s closing in December, that was from somebody that found one of my videos that I had never talked to before. And I had no idea who they were. 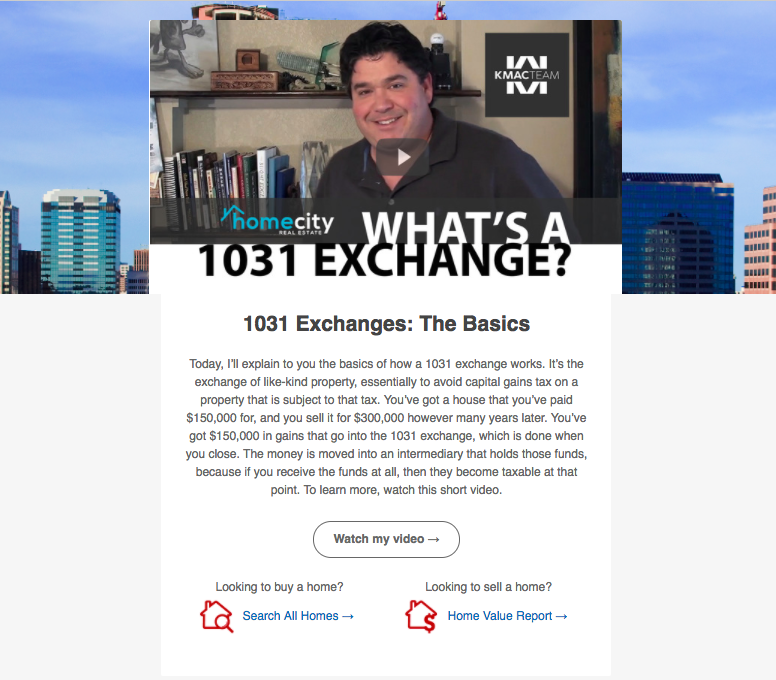 It was a video on the homestead exemption, first time home buyer. 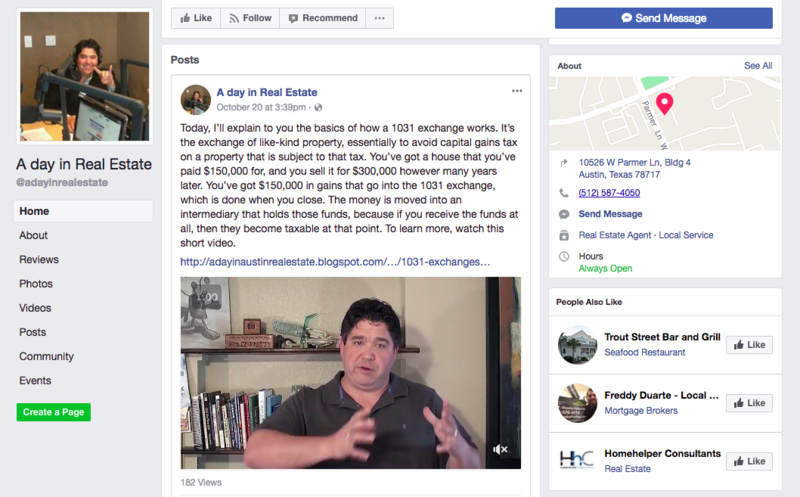 They had questions about the homestead exemption because they were looking around and they just happened to Google that and they happened to run across my blog, watched my video and reached out to me and within a week we were in contract with a new construction house for $300,000. So that paid for my Vyral subscription” Kevin reports. 6) Consistency: It’s not about the money, it’s consistency. Kevin spends less than $12,000 a year on marketing to make $300,000. “I don’t spend a lot, most of it is spent on my database” Kevin states. Most of Kevin’s marketing budget goes towards reaching out to his database. Whether it be with a post card, a note or a birthday card, it’s all about being consistent. 8) Frequency is Key: The more touches the better. Kevin communicates with his database four times a month. He sends out a monthly postcard, a monthly newsletter and two educational videos a month. That is at least 48 times a year. When it comes to these touches Kevin doesn’t mind if people aren’t always consuming the content. “I know they go, ‘Oh there’s Kevin’s postcard’ and throw it in the trash. But I don’t mind because I am top of mind” He Jokes. 9) Gain Peace of Mind: Implementing Vyral brings peace of mind. By using Vyral Kevin is able to work about 25-30 hours a week, spend less than $12,000 a year on marketing, and still make $300,000 a year. With Vyral, Kevin maintains the perfect work-life balance and has ample vacation time. 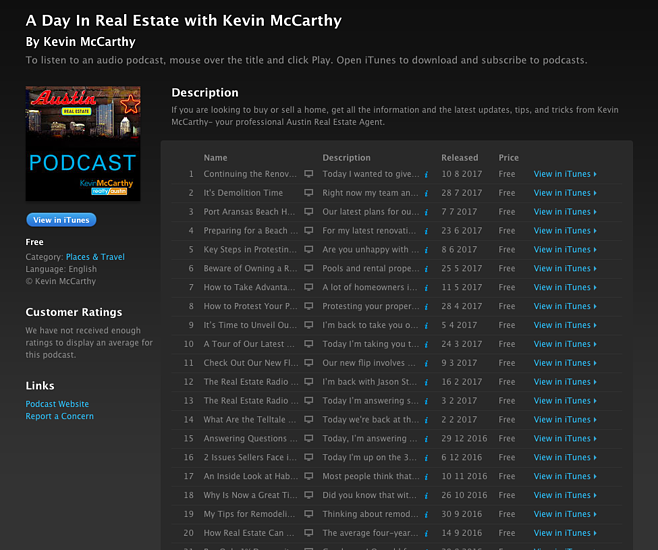 Vyral Client Kevin McCarthy, a real estate agent in Austin, gets 75% of his business from his database. Kevin sold 30 homes last year at an average price of $250k, selling 500 homes total during his entire career starting in 2006. “Most of my business comes from referrals, with some internet leads,” says Kevin. His goals are to get more listing business, control the transactions, and spend less time in the car with the goal of making more money to buy investment properties (he currently owns three). Kevin has 400 great contacts in his database. That’s his true sphere of influence. According to the “10% rule” (ten percent of your database will give you one deal a year by referral or repeat business), he has room to improve so we’re going to discuss how to boost Kevin’s results. He will likely get 10 more deals from his database in 2018 with the tips you’ll learn. 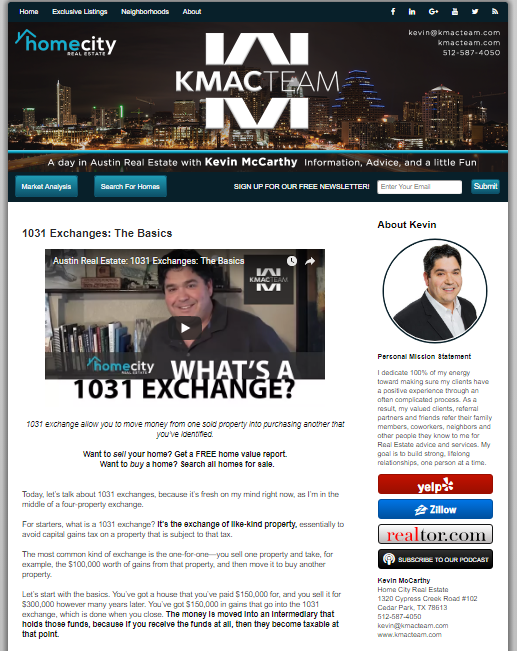 Join us and learn how Kevin is getting listings from his database so you can model him. You’ll also learn how Kevin plans to make his videos more entertaining and at more interesting locations. 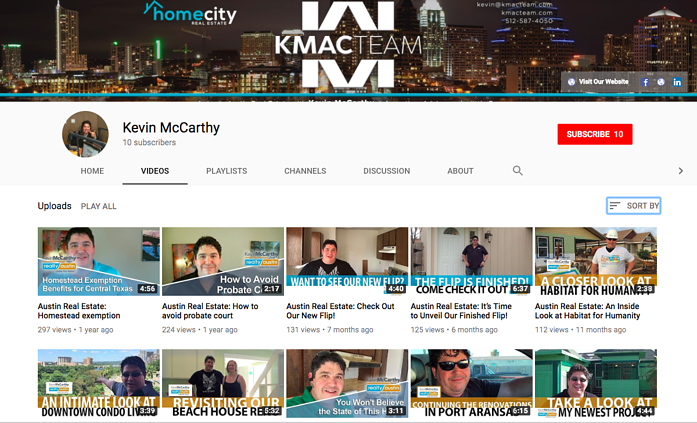 “I’d like to know more about partner videos, business videos, community videos, and more,” stated Kevin. The goal is to help you stay in better touch with your past clients, sphere, and homeowners with authentic, helpful videos so people call you to list their home. This is a 100% educational event. 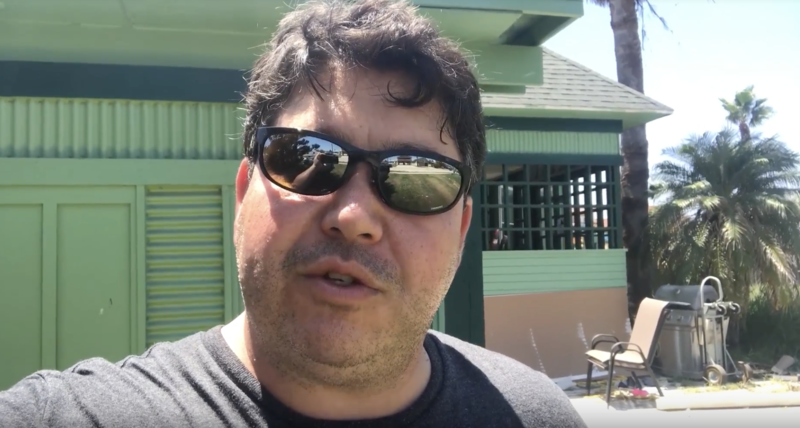 You can download the video marketing plan that Kevin follows on the homepage of our website, and you can request a free strategy session there, too. Join us live so you can ask questions. See you on the live event! P.S. The event will be recorded, accessible after the live interview right here on this page.